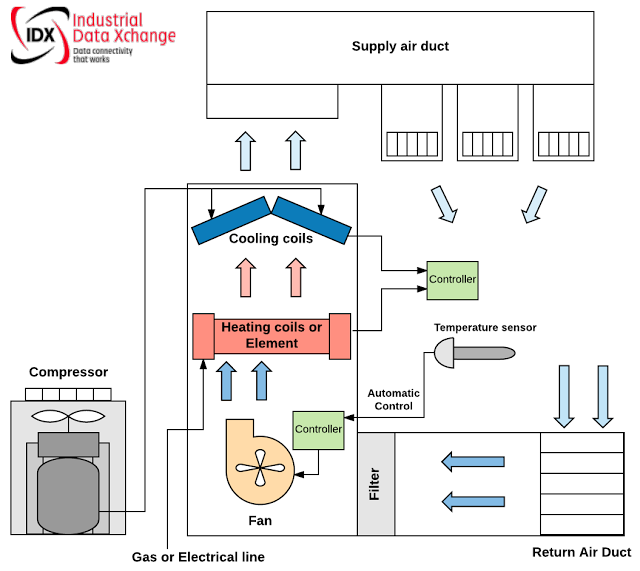 Automated systems that incorporate Heating, Ventilating, and Air Conditioning (HVAC) apparatus to perform heating and/or cooling for residential, commercial or industrial buildings. A fundamental function of the system is to providing fresh outdoor air to decrease and dilute interior airborne contaminants such as odors from occupants, volatile organic compounds (VOC’s) emitted from interior furnishings, chemicals used for cleaning, etc. These HVAC systems can be customized in an energy-efficient design to suit your specific needs and provide a consistent and comfortable indoor environment suitable for all. With structures of this nature, remote monitoring is a vital feature that will assist with visualization of measurable primary element variables. By using the Netbiter Remote Monitoring Solution, we were able to achieve remote monitoring on medical laboratory facilities. Since the labs were located at remote sites to assist with medical treatment and aid, there was a lack of technical support in these regions. The installation needed to operate with minimal maintenance. 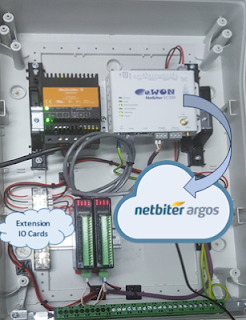 The Netbiter EC350 gateway and extension IO cards are designed with robust internal electronics and high tension screw terminals that can withstand vibration and frequent movement. The extension IO cards are purposed to poll information from the field instrument sensors (eg: temperature probes, pressure sensors, digital relay contacts or switches). These cards come in a variety of combinations to suit all IO signals. Alternatively the Netbiter EC 350 can communicate directly with field instruments and controllers that are enabled with a Modbus interface. From the cards the information is then transferred via Modbus RS485 serial communication to the Netbiter EC 350 gateway. The information is then transmitted via 3G to the Netbiter Argos Cloud server. The information in the cloud service can then be managed, analysed and presented in a SCADA dashboard format. This real time data is now accessible from anywhere in the world via a secure log in portal. You are also able to set up reports and extract historical data. The system allows for data logging, alarm functionality and GPS tracking. A profile was created for the first Lab and exported to the rest, helping to maintain uniformity and reduce engineering time spent on repetitive configurations. The dashboards can be created in various stages, eg: profile, project or system dashboards. They can be modified, renamed and customized to represent specific and detailed information required. Here is a simple example of a dashboard.